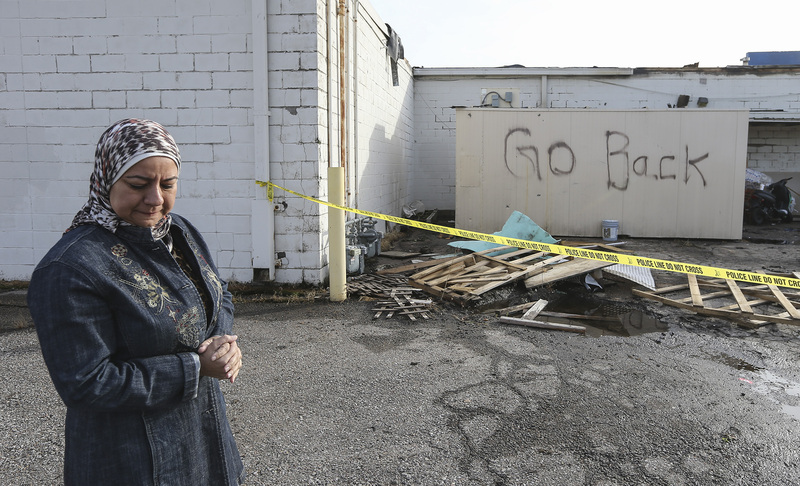 Ranya Taha stands behind her restaurant, Petra, which was destroyed in a fire early Wednesday morning. Some graffiti with the words "Go Back" were sprayed the back of the restaurant. Taha, who has lived in Wichita for 16 years, is from Syria. Investigators have not said what caused the fire.